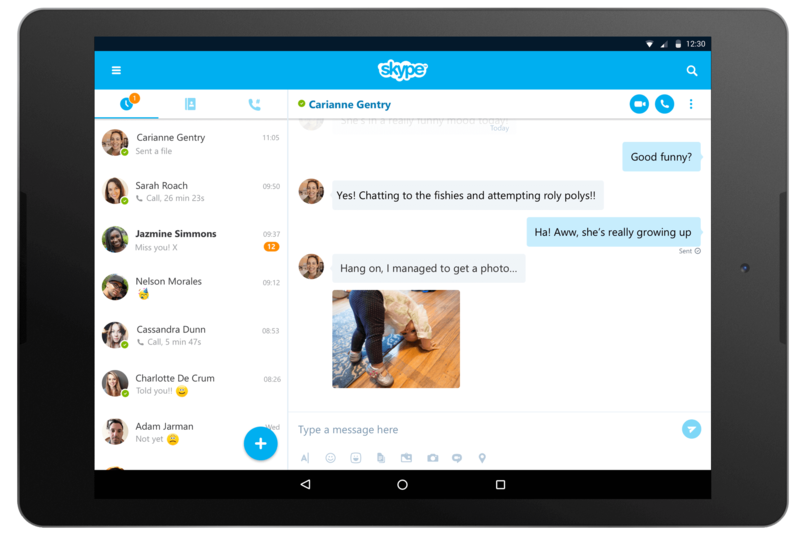 The Skype team over at Microsoft have released a dramatically improved version of the voice and video communications app for Android. The new 7.0 version of the app is hitting the Google Play Store now and if you already have it installed, you should see the update hit your device via an OTA over the course of the next few days. The big improvement in this new update is the new Material Design inspired UI on tablets. We’ve redesigned the tablet UI from the ground up, bringing a number of material design inspired elements. The app also has a Floating Action Button (FAB) that makes it much faster to start a conversation or call with Skype app. That FAB is in both the tablet and phone versions of the app. In addition, the Skype team has added a lot of new features and improvements to the app in this release. As you can sense, this update to Skype is very much focused on improving the tablet experience and having tested it out this morning, I think they have hit the mark. You can read the full details on this release on the Skype Blog. If you want to download it to your devices, you can do so in the Play Store.